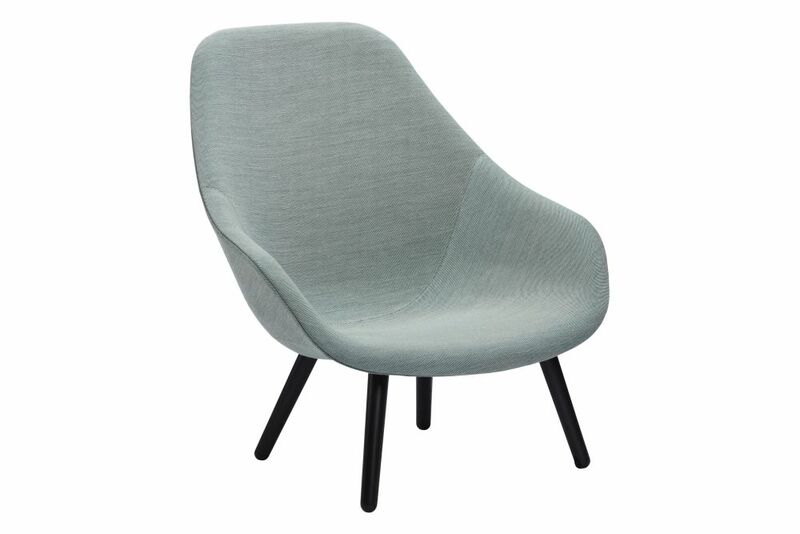 The high-backed About a Chair has a majestic aura in this version with a steam-bent frame that is accented by the slightly more open shell. While the lower version has a more intimate expression, the high-backed version is more spacious. Both the high and the low versions come with the same minimalist wooden frame, which gives the chair a slightly more angular expression than the round wooden legs. However, regardless which legs you choose, About a Lounge Chair is a comfortable and functional seating sculpture with its high or low back, where the stitching contributes to a graphic expression that appears subtle or striking, depending on your choice of upholstery.